I was around 7-8 years old – I remember walking into the vocal lesson at my teacher’s home. It was late afternoon, and the usual batch of students were shuffling around with their notebooks etc, waiting for the session to start. The teacher’s harmonium stood ready, her notebook on it opened to the lesson for the day. “O Mother, I’ve traded all for Krishna” she declared ….. and it was this masterpiece that brought the raga Bhimpalasi to my consciousness. It instantly grabbed my attention. Here was something sweet, something indescribably serene. I remember humming it on my short walk back to my home…. it fitted perfectly with the afternoon’s ambience. Even now, when I think of this raga, I cannot but think of Mira’s part lament, part declaration, part ecstasy – which, put together in the mix, defines the essence of Bhimpalasi. She finally concludes happily, issuing her standard plea to her god, which forms the final line of many of her compositions..
Bhimpalasi brings together a joyful mood, but with a sweet tinge of resignation, but never a mood of hopelessness…. The prescribed time of this raga is late afternoon…. after the sun’s harsh rays start receding in intensity. It has a gentle and sweet feeling – of looking forward to the evening ahead. The name of the raga is quite overbearing (possibly because of the inclusion of the phrase “Bhim” which stands for big and strong – it was also the name of the strongman Bhim in the epic Mahabharata) However, the raga is anything but strong and aggressive- it’s soft and sweet – it actually lends itself more to the latter part of it’s name “Palasi” related to the “Palash” flower perhaps? As part of the ongoing series to document sarod compositions, here’s a home recording of Raga Bhimpalasi in a slow/middle tempo 10 beat cycle, that I learnt from Ustad Shahid Parvez. We continue the Bhimpalasi by going into some different compositions. One of the most famous compositions that I learnt in my vocal classes was one in Madhyalaya teentaal (middle tempo 16 beat cycle) called ” Ja Re apni Mandirva”, said to be composed by the famous “Sadarang”. ?? ?? ?? ???? ??????? ????? ?????? ????? ???? ?? I’ve had a few goes at the first lines in different variations, which goes well with Bhimpalasi, as the compostion is part plea, part surrender and part anger -a plea to go away, an admission of love despite anger at betrayal- so a mixed bag of emotions. I was thinking of this composition while walking the banks of the Ganga (Ganges) in Varanasi on a summer afternoon…. As I strongly believe that technical details should only come second to experiencing the raga, here are some “mandatory” technical details on Bhimpalasi. If you understand and experience the raga in its full colour and glory, these details won’t be needed. Bhimpalasi is roughly equivalent to the Carnatic ragam Aberi. 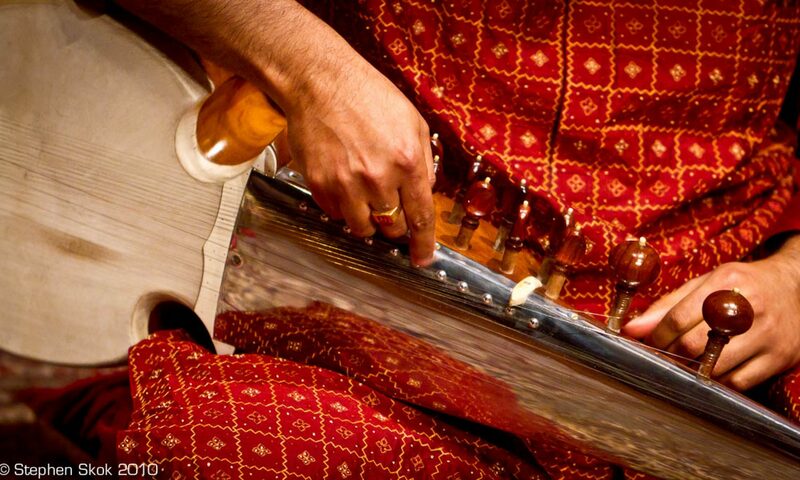 But as with most ragas, the treatment of the raga is very different in the systems. The phrase n S g M P n D P, g M P, g M g R S is a typical progression in this raga. For a long time I have been looking for the meaning of the song “ja ja re…”.